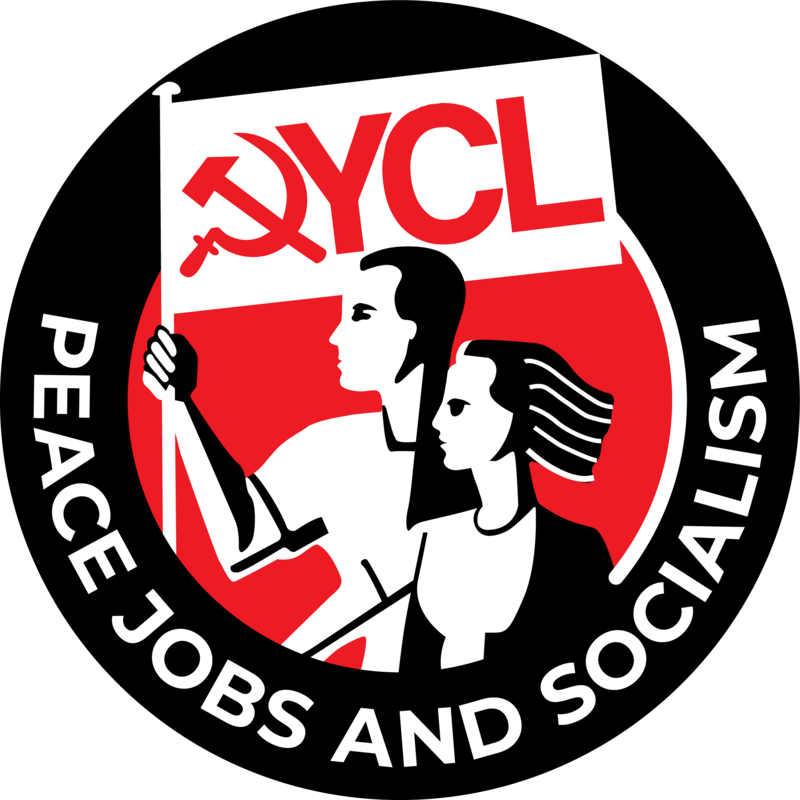 THE YCL WAS FOUNDED IN 1921 AS THE YOUTH WING OF THE COMMUNIST PARTY OF GREAT BRITAIN. WE HAVE FOUGHT FOR YOUNG PEOPLE AND WORKERS EVER SINCE! We want to transform society in order to end exploitation, oppression, poverty, unemployment and war — in other words, we want to end the rule of capitalism and build a socialist society. We are a Marxist-Leninist organisation. As Marxists, we have a scientific (Communist) approach to fighting for socialism. As Leninists, we have a democratic and critical approach to organisation. We follow the theory and practice of Marx, Engels, Lenin, and the Communist movement and socialist countries since 1917. We work together and with others in the working class and progressive movement — in communities, trade unions, workplaces, schools and universities, and campaigns for anti-fascism, anti-racism, international solidarity, peace, LGBT+ rights, women’s rights and more — in order to broaden and strengthen the causes of working people, progress and socialism. The YCL is organisationally independent, with its own activities, committees and priorities, while we follow the Communist Party programme — Britain’s Road to Socialism. Throughout our history, the YCL has played an important role in these struggles against the capitalist class in Britain and worldwide. Today, Britain and the world have changed, but these struggles for the interests of working people — and young people in particular — and the demonstrable truth of Communist practice and theory, remain the same! Following the Marxist-Leninist principle of democratic centralism, members of the YCL participate in regular congresses that decide policies and elect the Executive Committee leadership. Decisions are binding across the organisation. The YCL has local, regional and national branches, structures and democratic processes, as well as active commissions that bring together members for political and organisational purposes. The League defends and strengthens democratic rights, rejecting the British monarchy and aristocracy, British imperialism, the supranational and undemocratic European Union, and discrimination due to age, gender, race, religion, sexuality or any other basis. The YCL is a British affiliate to the World Federation of Democratic Youth (WFDY), which represents millions of progressive and anti-imperialist young people in over 100 countries. The League works with fraternal youth organisations around the world to defend existing socialist and progressive countries and working people from exploitation, imperialism — especially British, United States and European Union imperialism — and oppression, supporting the people’s right to self-determination without interference. As part of the international community of working people, with Communists and progressives from many other countries often working with us in Britain, the YCL fights for international friendship and peace. WE ARE PART OF A MASS MOVEMENT. The League never puts its own interests above those of the working class and progressive movement as a whole. Communists broaden and strengthen the movement, but as Marxist-Leninists make a unique and indispensable contribution. Members of the League actively support the Morning Star, Britain’s only socialist daily newspaper, and the Communist Party, as well as participate in trade unions — the broadest mass organisations of the working class — and many other campaigns and organisations that fight for working people. The YCL aims to end capitalism, not to mend it. Only a fundamental shift in power from the capitalist ruling class to the working people of Britain, and the establishment of socialism, will guarantee the extension of democratic rights and social progress. This revolution can and should be achieved peacefully, combining the power of mass organisations such as trade unions and campaigns to push forward the struggle, as well as parliamentary and local elections and other activities. Members of the League are scientific socialists — in other words, Communists in the tradition of the Communist movement, both in Britain and worldwide, and socialist countries since the Russian Revolution of 1917. The YCL applies Britain’s Road to Socialism — the Communist Party programme — and the theory and practice of Marx, Engels, Lenin and other Communists in everyday work to broaden and strengthen the causes of working people in Britain, overthrow state monopoly capitalism and build a socialist society based on common ownership, democratic control, full equality, universal access to public services and protection of the environment. CLICK HERE TO JOIN US, OR FIND OUT MORE ABOUT WHAT WE DO.